Oak Group artists are passionate about painting on location. 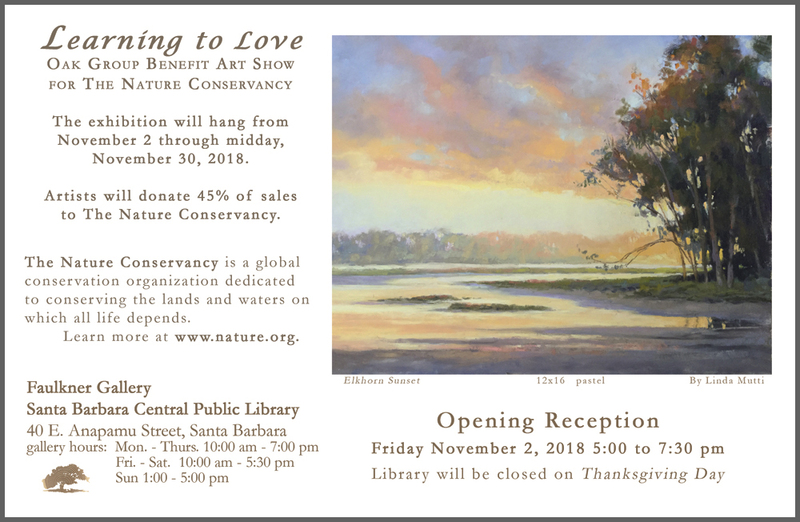 One of the first groups of artists exhibiting to preserve open spaces, members have worked since 1986 to protect land for wildlife, recreation, ranching, and farming. Oak artists make visual records, drawing public attention to lands we stand to lose and generating funds to protect them. To date, Oak Group sales of $3 Million have supported open space preservation. The Oak Group has helped preserve tens of thousands of acres within parks, preserves and open spaces throughout California. Projects include trails, historic and nature preserves, farmland and more.